I think it must have been beautiful once but is now old and tired. Our room smelled of old cigarette smoke, and though everything felt clean, one of the duvet covers had black marks in one corner as if it had been mouldy once and hadn’t been washed over. The bathroom had mildew on the ceiling. I was really looking forward to the food but just didn’t enjoy it. Some of the staff we were wonderful, one of the ladies brought some medicine for my husband’s upset stomach and was just delightful. They really made an effort to explain the dishes at dinner to us. The massage chair in the room was amazing and the onsen is nice too. Overall, not somewhere we would return to. The staff was super friendly and accommodating. The place itself though was run down and felt more like a motel in eastern europe. There was blood stains on the sheets, the "garden" was super tiny. The hot baths were satisfactory though. Be mindful that the whole city seems like a ghost town more or less. From the bus stop you pass by the ruins of buildings from the time that this twon saw its prime. The view from the room was the ruins of a neglected house, the shower-thingy-room was very unclean and there was no wi-fi connection in the room neither. The staff and the food made the experience decent. But I would never recommend a friend to go there. Incredible staff, stunning grounds, and virtually unknown to Westerners. Beautiful mountain location and unreal baths. Best food we've had in Japan so far! A little out of the way, but really not hard to get to, even by public transit. 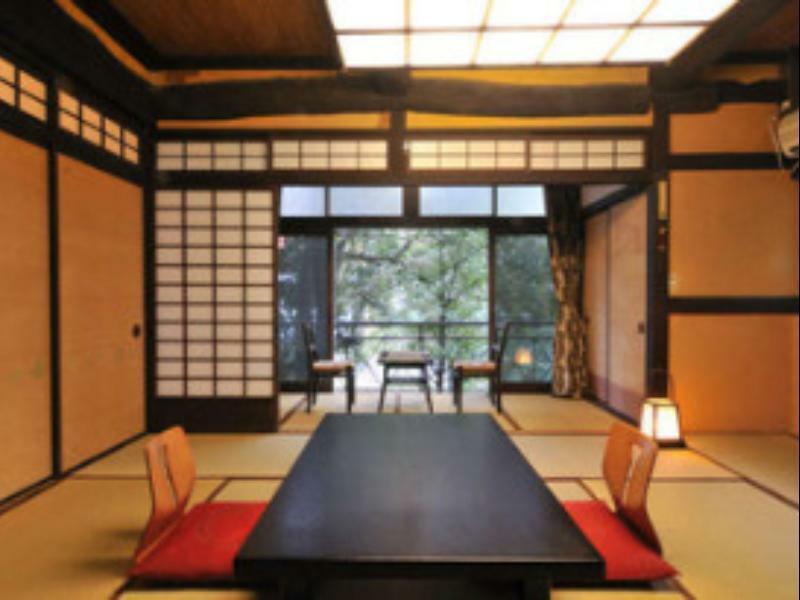 Much more affordable and more authentic than Hakone. Couldn't recommend more highly! It was a litte bit difficult to come to the Hotel butour the effort was worth it. The staff don't speack english but we hadn't any problems. There is an abandon Onzen Ryokan behind which makes the area looking shabby and sad feel. We stay there for one night and have the most fantastic travel experience in the hotel. Nice osen. Friendly service. Beautiful traditional room. Delicious traditional catering. Only accessible with driving. 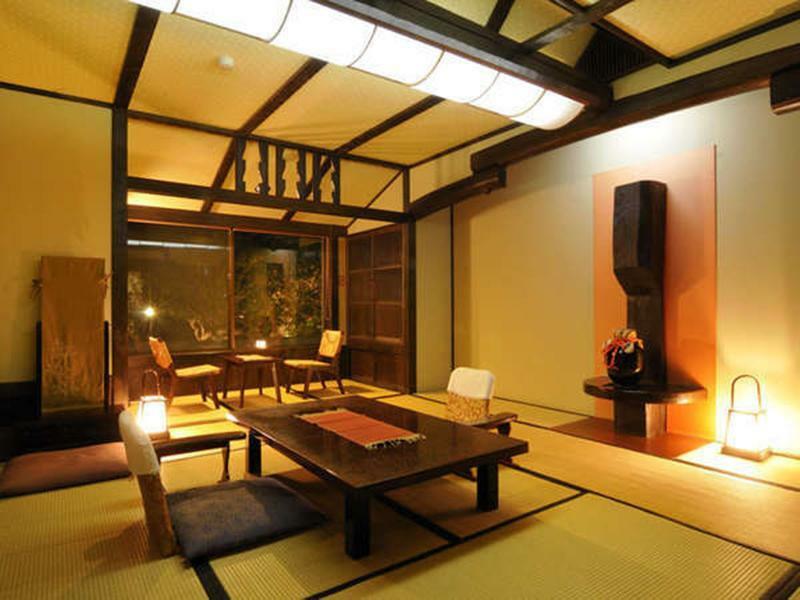 Wonderful Ryokan Experience. We were greeted when our car is approaching. They waved us goodbye continuously till we cannot see them anymore while we drove off. Food was splendid, fresh and sumptuous. Service is top notched. Only setback is only one staff (or the manager) can speak English. Otherwise, we had to make guess of the Service Staffs whom can speak very little English, but hey, we more or less can understand their hand signs.. which was good enough! Highly Recommended Place high up in the hill. The service was excellent, The Onsen was nice and warm, and the staff were incredibly nice. 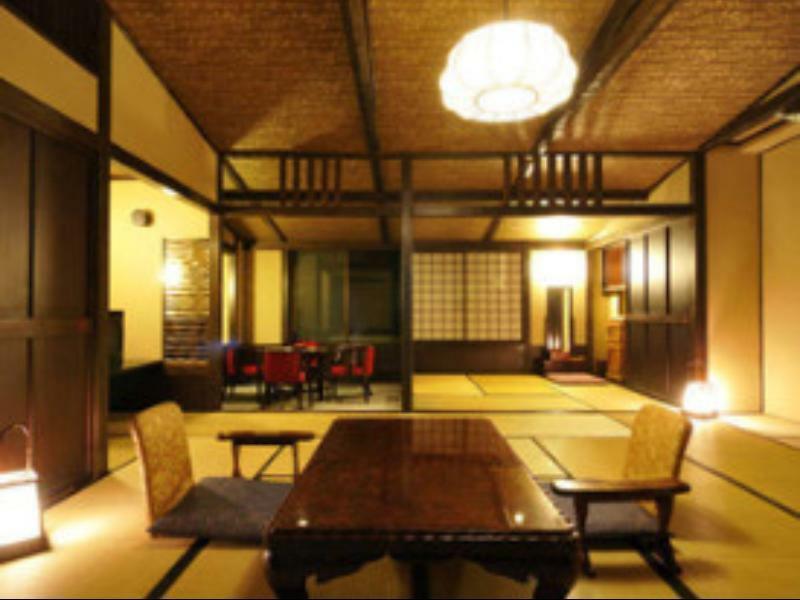 We really enjoyed our stay at the Traditional Onsen Ryokan Izu Yugashima Shirakabeso. The garden was beautiful and the Onsen was nice and warm. We would recommend this to anyone thinking of going. It was extremely relaxing and all staff especially the lady serving us our meals (breakfast and dinner) was thorough, made us feel welcome and warm. Even though their ability to communicate in a common language was limited, they were relentless in attempting to communicate/patient with us. Found this entire experience very relaxing and pleasant! English speaking staff, silent, traditional japan style. Wonderful experience staying in Shirakabeso. I stayed 3 days and wanted to stay on more. The vicinity is just serene and pure. The outside bath is such a gorgeous experience -- such a great way to relax oneself together with nature. Fresh and tasty food, not to mention the quiet, calm and attentive service from hotel staff. For a single woman traveler, I felt so good staying in Shirakabeso. I want to come back again and again. BTW, the hotel is very easy to find. Just 5 mins down the road from the bus stop. Room amenities were great with a massage chair in my room.. The outdoor onsen was great.. Breakfast and dinner was amazing! I would definitely come back here again if I could! We enjoyed our stay so much, wandering around in its maze-like establishment with three different onsens to check out. Loved the great view of the river visible from the balcony and out on the bridge. The highlight of our stay was their delicious dinner kaiseki ryori and breakfast. We couldn't believe that for the affordable price we paid it was half board, including the wasabi-themed dinner. Everything was beautifully presented and was as delicious and fresh as they looked. Grating our own wasabi root was definitely a one-of-a-kind experience with Izu's famous wasabi. The outdoor baths made of carved tree trunk and volcanic stone discovered while building the ryokan made the stay even more special. 숙박료를 더 받아야 마땅할정도로 좋습니다. 카이세키로 이즈 지역특산물인 생와사비를 갈아서 밥과 반찬을 먹는데 회부터 나베까지 싱싱하고 정말 맛있습니다. 온천도 대욕탕에 야외 두곳 (남여 번갈아가며 씀)에 지루할 틈이 없고요 내부도 매우 넓어 둘러보기 좋습니다. 오래된 료칸이라 금연실이 없어 아쉽고 시설이 조금 낙후된게 보이지만 불편한 점은 없습니다. 직원들도 다 친절합니다. 슈젠지에서 동네 버스 타고 유가시마 정류장까지 가는 길도 즐겁고 정말 훌륭한 여행이었습니다. 안타깝게 주변에 문닫은 료칸들이 많더라고요 시라카베소는 오래오래 잘 됬으면 좋겠습니다. 숙소의 위치는 솔직히 좋지는 않습니다 슈젠지온천역에서 내려서 버스를 타고 한참들어가야되구요 밤늦게 도착해서 버스에서 내려 걸어가는길이 무섭긴하더라구요ㅠㅠ 비행기 지연으로 많이 늦어져서 체크인이 많이 늦었는데도 친철하게 체크인 해주시는데 너무 친절하고 좋았습니다 ! 늦어서 석식은 못먹은게 너무 아쉽고 숙소자체도 너무 이쁘고 좋아요! 다음에 기회가 되면 다시 가고싶어요 그때는 꼭 일찍 가서 숙소를 즐겨야겠어요!! 누마즈 역 에 위치하고 있으며 후지산이 바로 보이며 호텔이 깨끗하고 직원들의 친절도가 최상이라 지금까지의 호텔중 가장 맘에드는 최상의 호텔이었습니다. 감사합니다.